Sorry this was uploaded rather late. I’ve not been feeling well. Hopefully you guys can still use it if you like it :)! The final product looks like Lorde with lighter hair. Please do a makeup tutorial for this one! It's sooo good! Have you done a makeup collection? If not can you? Thanks!! 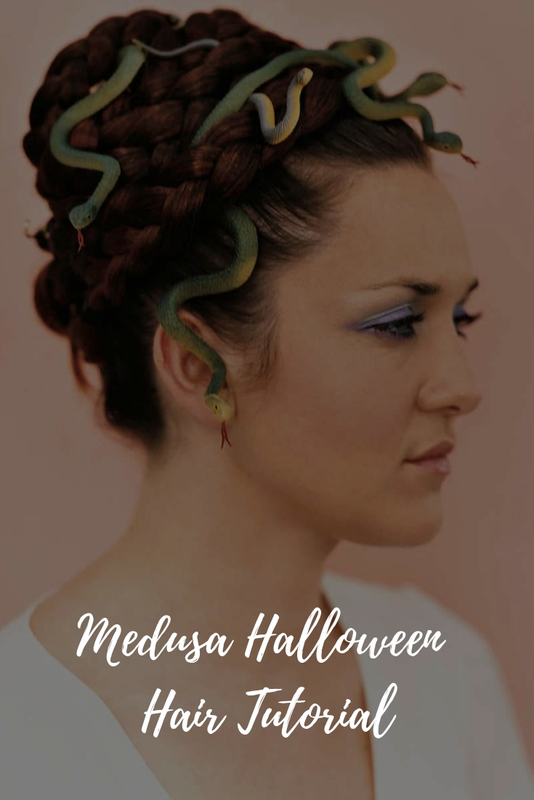 I'm looking forward to doing this medusa style next Halloween! So I just found your channel and where have I been??? I love it, great content and quality. I have the 33 oz bottle of purology hydrate and I love it; it has lasted two years and is not empty yet! IN about 3 weeks, my school choir is going to be singing o Canada at a Canada vs. Russia hockey game, in front of 6000 people and is being national broad casted , and i can't deiced what to do with my hair! i want to curl it, but i don't know what curl pattern i should use. can you do a video, or at least recommend one of yours? I was medusa last year lol!! Idk why, but you remind me of Amy from SYTYCD 🙂 ! I love this so much! I'll definitely be doing this next year! Hi Kaley! I like the creativity in this hairstyles. I hope you will feel better soon too! Lmaoooo I thought this was a Lorde make up tutorial. The braids were lovely but I had to stop watching once snakes came into the picture. Which nail polish are you wearing? Stunning! She has another channel with make up tutorials. I suggest you using coconut oil. It should help. When was a child I had very very thick hair but when I was teenager I was eating less and less. I lost more than a half of my hair. I've been using coconut oil for a half a year and my hair grew considerably thicker. Before all the snakes came in – even just braided style would be cute for any other day of the year!